We are working on a rare Managing Director of Data Science role with a leading financial services organization. This is to lead and grow a Data Science team within their central analytics hub in Austin. This team will be working on sophisticated advanced analytics problems. The group consists of several smart early career PhD’s who are innovating, prototyping and experimenting. But they need a leader to guide and tailor the work to drive business impact. You will be supporting all business lines, so getting bored is not an option. Must be able to set strategy and prioritize, translate complex ideas to other business leaders, and operationalize smart tools. Base salary is going to be up to $200K or so plus bonus. 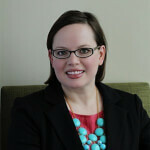 Heidi brings a depth of experience and expertise in recruiting quantitative professionals. She has partnered with candidates within predictive analytics, data science, and operations research and understands the nuances of all of these areas.